Our Virtual Private Servers (VPS) offer the convenience of faster processing, greater security, more disk space, memory, and higher monthly traffic allowances. We offer reliable VPS solutions that are tailored to suit your unique requirements. 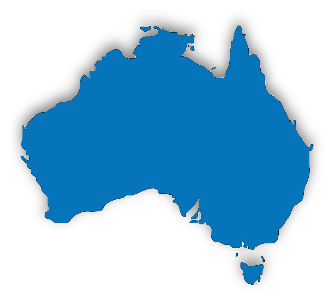 Our virtual private servers are located in Australia for fast transfer speeds. Benefits of Your Own Managed VPS? With a VPS, you have the entire virtual server to yourself. This not only gives you the benefit to use all the resources as you like, but it is also better for security and generally more stable because there are no other users on the same VPS. You will also have more flexibility with the option of installation of custom scripts and software if needed. So if you want more storage space, more bandwidth and traffic, improved security and more freedom to do what you like, then an Australian VPS is the right option for you. And with Digital Dreams managing your virtual private server, you can rest assured that you and your server are looked after. Problems can always occur and in the event that the cloud node of your virtual private server has a problem, your VPS will be automatically migrated to another cloud node to minimise downtime. During upgrades and maintenance of infrastructure, your VPS can also be migrated to another cloud node for minimal disruption and in most cases is handled as a "live migration" with zero downtime. With your own VPS, there is no limit to the number and sizes of your websites and email accounts. You are only restricted to the resources that your websites and email accounts need and this can be upgraded if needed. We can provide you with access to a control panel to manage all your websites, email accounts, email forwarders, DNS records, and more. If your virtual private server needs to be upgraded, this can be done with minimal downtime. Over time, as your busines grows, you may need more resources for your website or websites. We look after everything for you so that you get all the benefits of a virtual private server without the hassles. We monitor your VPS to ensure that it is in optimal condition and working efficiently. We provide fast and reliable VPS hosting in Australia. By having your virtual private server hosted in Australia you will have a speed advantage compared to hosting overseas as the data will have a shorter distance to travel with fewer hops. If hosting a website (or websites) on your VPS, Google and other search engines also take this into account when ranking your website in search results to give you a benefit for Australian searches. You can manage your VPS hosting account via the DirectAdmin hosting control panel. DirectAdmin is the most reliable, easiest to use, and fastest control panel available. Although extremely powerful in performance, it is quite simple to use. Once logged in, you can manage each website account in complete control to add and edit email accounts, email forwarders, backups, files, MySQL databases, and more. You can also view statistics to see how many visitors each of your websites is getting. 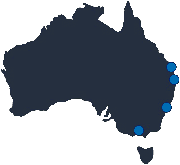 Need a fast reliable managed VPS in Australia?